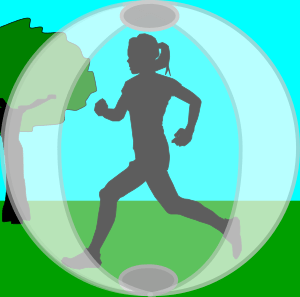 A sport in which one is secured inside a large transparent ball which is then rolled along the ground or down hills. 1990s: invented word from Zorb (the name of the ball used in this activity) + -ing. Sally seemed almost professional in her success with zorbing.